Welcome to A Few Loose Threads! 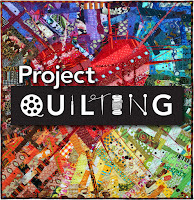 Thanks for visiting ~ I hope you will find lots of quilting inspiration. Categories Select Category 100 Blocks 31 days in December 2018 Aurifil Blog Blog Hop Charity Sewing Free Pattern Fun Stuff Give-Away Million Pillowcase New Products Patterns Sew Along Splendid Sampler Swap Tips and Tricks Tutorial Winners!